Advancements in organizational safety initiatives and notification technologies are opening up new possibilities in critical communications. As members of the safety community, it is our privilege and responsibility to stay at the forefront of preparedness. 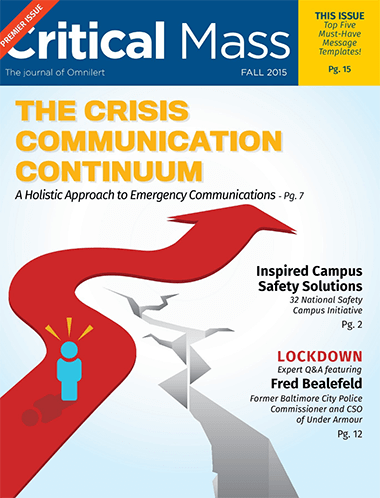 Stay in control and up to date with Volume 1 of Critical Mass Magazine, the leading magazine resource for emergency notifications.